A new bill has been introduced in Congress that hopes to prohibit airlines from charging passengers to use the on-flight toilet. Though the facility is taken for granted by many, it is actually not guaranteed by law. Representative Daniel Lipinski’s (D-Illinois) “Comfortable and Fair Flights Act of 2015” was proposed to head off the potential introduction of fees that could see airlines charging passengers to use the lavatories on board the aircraft. In addition, the bill would introduce measures allowing a passenger to request a transfer to another flight – for free – if there is not "an adequate number of functioning lavatories." "One thing they should never have to worry about is access to a bathroom," Lipinski said in a statement. "Unfortunately, commercial flights are not required to depart with a functioning bathroom, sometimes forcing passengers to endure a trip without this basic necessity." Such charges were first considered by European low fares airline Ryanair in 2009 when the idea was floated that passengers be charged £1 ($1.51) to use the toilet on flights of less than one hour duration. "One thing we have looked at is maybe putting a coin slot on the toilet door," Michael O’Leary told the BBC in 2009. Two years later, the same airline announced plans to introduce a new fleet of Boeing planes having just one toilet, instead of the current three, to make way for more seats. 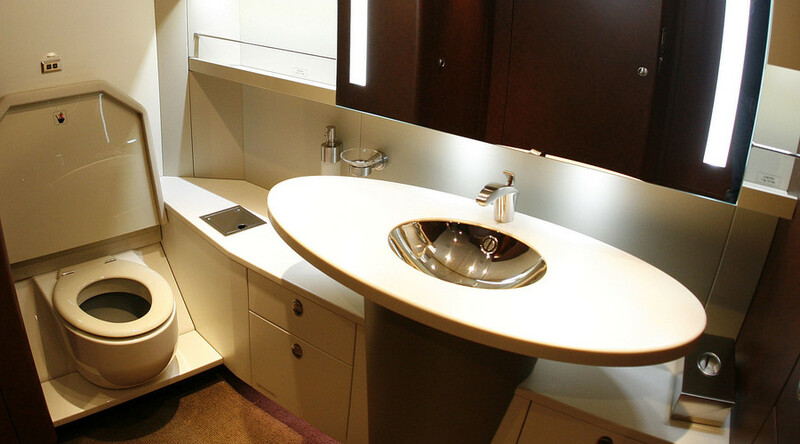 "We very rarely use all three toilets on board our aircraft anyway," O’Leary told The Independent. In addition to tackling the toilet issue, Lipinski’s bill includes a provision for refunding passengers who’ve suffered through the all too familiar scenario of having their baggage delayed. Future Airline fees in 2016: Charging for oxygen, toilet, for being looked at by flight staff, fee for Pilots sandwiches, and "being alive"
With Lipinski’s remedy, airlines would have to refund baggage fees if a passenger’s luggage didn’t arrive within two hours of landing. "Passengers who suffer from this inconvenience do so without the right to a refund, even after hours or days of delay," he says. "Simply put, if you pay for a service, you should get that service promptly or get your money back."